LDA has joined the Consortium for Citizens with Disabilities (CCD), with LDA and around 100 national disability organizations as members, to oppose current efforts to rewrite federal tax laws. A large majority of CCD members opposed the House bill and now are expressing the same serious concerns about the Senate’s Tax Cuts and Jobs Act. The coalition has focused on the fact that crucial health, education, and other federal programs that impact the lives of individuals with disabilities will likely need to be cut deeply to compensate for proposed decreased federal tax revenues of more than a trillion dollars. Process: CCD supports an open, transparent, bipartisan legislative process with opportunity for review by and input from legislators, advocates, and other stakeholders. The Senate Finance Committee, with jurisdiction over tax policy, did not obtain the usual cost estimates and impact statement on the bill from the non-partisan Congressional Budget Office before Committee passage and held no public hearings on the bill. CCD maintains a bill of this complexity and impact on a large portion of the population should have received even more scrutiny than usual before being sent to the full Senate. Paying for Tax Reform: CCD opposes paying for corporate or individual tax cuts through cuts to programs such as Medicaid, Medicare, Social Security, the Individuals with Disabilities Education Act, or other federal health, education, and social service programs that support and assist all Americans, including individuals with disabilities. The CCD principles make clear individuals with disabilities do not just accept these supports, but also operate and are employed in businesses, contribute to their communities, and are taxpayers themselves. Cutting the very programs that help individuals with disabilities to be active members of society is counter-intuitive. Impact on Health Care: The Senate bill includes the repeal of the individual mandate requiring all Americans to either have health insurance or incur a financial penalty. CCD opposes this provision, an integral part of the Affordable Care Act that makes possible other parts of the law, such as preventing higher premiums for people with pre-existing conditions and prohibiting annual and lifetime limits on benefits. The Congressional Budget Office predicts a repeal of the mandate would increase premiums 10% above current projections, making insurance out of reach for some people and further destabilizing the individual market, forcing insurers out of the market altogether. People with disabilities and other chronic conditions who require health care for daily living would face much higher out-of-pocket costs. The tax bill already passed by the House repeals other important health care provisions, including the medical expense deduction. To read the full set of CCD principles, click here to download the PDF. CCD letters to the House and Senate are posted, with a list of all the organizations joining together, at http://www.c-c-d.org/. LDA has signed on as an amicus curiae (friend of the court) to a brief filed by attorney Jo Anne Simon, longtime LDA member and former LDA Professional Advisory Board member, in the U.S. District Court, Northern District of California. Twenty-six individuals and organizations joined the brief supporting the request by the California Department of Fair Employment and Housing (DFEH) to extend a Consent Decree issued in a 2012 suit against the Law School Admissions Council (LSAC) that alleged pervasive violations of the Americans with Disabilities Act in the administration of the Law School Admissions Test (LSAT). 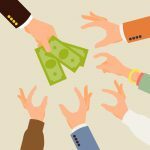 In 2014 the parties entered into a Consent Decree, creating among other things certain requirements for the provision of accommodations, a victims’ compensation fund, and specific provisions for monitoring and enforcement. In addition, a Best Practices panel was created to advise LSAC on policies and procedures to ensure future compliance with the law and the Consent Decree. 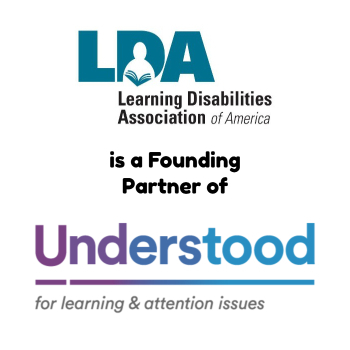 As part of its mission, LDA works to create opportunities for success for all individuals affected by learning disabilities. Working to assure that all test applicants with learning disabilities obtain accommodations allowed by law supports this mission. The LSAT case is important to all individuals with learning disabilities, and not just those who want to attend law school, because it establishes what the courts and the U.S. Department of Justice see as the standard for all testing accommodations and tests. Although LSAC challenged many of the recommendations of the panel, on August 8, 2015, the District Court accepted all but minor portions of the panel’s report. 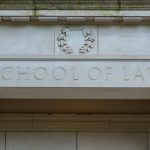 LSAC was required to implement the Best Practices upheld by the Court starting with the December 2015 administration of the Law School Admissions Test (LSAT). Since that time, the DFEH and the U.S. Department of Justice have identified several violations of the Consent Decree by LSAC. Efforts to resolve these violations have been largely unsuccessful, prompting the DFEH to file the current request for an extension of the Consent Decree and other relief. LDA’s participation as an amicus dovetails with its continuing work to assure all test applicants with learning disabilities obtain the accommodations they need in compliance with the law. 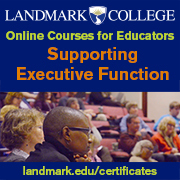 As an example, in February 2016 LDA issued a report, “Stories from the Testing Room; High School Equivalency Exams: Accessibility of Accommodations for Persons with Learning Disabilities,” which was shared with the U.S. Department of Justice. In what seems like an annual event, Congress has still not settled funding for the current federal fiscal year (FY). Now in the third month of FY 2018 (school year 2018-19), the federal government is operating under a Continuing Resolution (CR), a stopgap measure to keep the agencies open until Congress determines specific spending levels. With the CR set to expire on December 8, some action must be taken to avoid a government shutdown. The very tight budget caps established in the Budget Control Act of 2011 (BCA) are a serious impediment toward settling final appropriations, or spending, for FY 2018. Since passage of the BCA, each year Congress has suspended the law’s tight budget caps and provided higher overall funding for government operations. 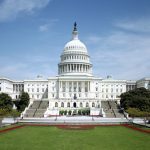 This year again the House and Senate are discussing a deal to raise the caps, either temporarily or more permanently. However, getting to that deal may not occur before the CR expires in early December, requiring another short or longer-term CR to allow time for negotiations. Along with a straight discussion of the budget caps and spending levels, a few unrelated issues are factoring into the conversation. Those include how to address the Deferred Action for Childhood Arrivals (DACA) program and the reauthorization of the Children’s Health Insurance Program (CHIP), both of which are of serious concern to LDA because of their impact on the ability of children and youth with learning disabilities to receive appropriate educational and health services through special education and higher education. Another factor that could impact a budget deal is how negotiators handle “parity.” Previous budget deals have maintained parity in raising the budget caps on the Defense and non-Defense discretionary sides of the ledger, ensuring education, health, social services, environment, transportation, and other government programs get the same amount in total as Defense and security programs. These discussions are ongoing. One way or the other, December 8th is the date to watch. Either another CR will be passed or a budget deal will be struck. 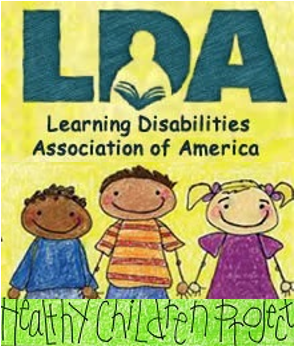 LDA is monitoring the situation for the impact on individuals with learning disabilities. President Trump has nominated Johnny Collett, the former state director of special education in Kentucky, to be the Assistant Secretary of Education for Special Education and Rehabilitative Services (OSERS). Since mid-summer, Kimberley Richey, formerly an attorney with the National School Boards Association, has been acting in that capacity. The Assistant Secretary is a political appointee, rather than a civil servant, and the nominee must be confirmed by the U.S. Senate before assuming his duties. Currently, Collett serves as the Director of Special Education Outcomes for the Council of Chief State School Officers (CCSSO), the professional association of state superintendents of education. He began his career as a high school special education teacher. As Kentucky State Director of Special Education and Director of the Division of Learning Services, he served as a board member of the National Association of State Directors of Special Education (NASDSE), and had responsibilities for special education, as well as English learners, gifted and talented, response to intervention, and the Kentucky Schools for the Deaf and for the Blind. Collett is well-known and well-regarded in the special education community. Secretary of Education Betsy DeVos met with considerable criticism during her confirmation hearings and early in her tenure for her apparent lack of knowledge about key special education programs, such as the IDEA. Mr. Collett is seen as a someone who can assist the Secretary by providing the depth of knowledge and experience required to ensure good policies for children, youth, and adults with disabilities. The next step in the nomination process is for the Senate Committee on Health, Education, Labor, and Pensions (HELP) to hold a confirmation hearing, allowing Committee members to delve into the nominee’s background and philosophy. After the hearing, the nomination will go to the full Senate for a vote. This process can be very quick or can be prolonged, based on the responses from the nominee, but also on the Senate’s schedule. Most likely this nomination will be considered early in the new year.